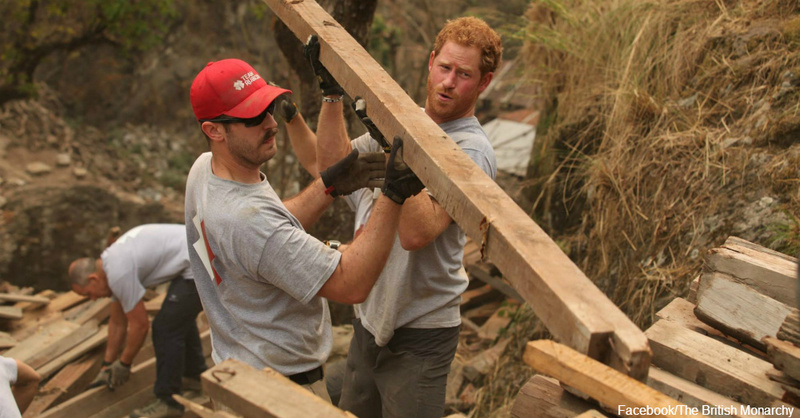 Royal Treatment: Prince Harry Takes Time to Visit Displaced Victims of Nepal Earthquake! Although Prince William gets more press, Prince Harry is also a force to be reckoned with among the royals – and in a good way. It turns out that Harry is quite the humanitarian, as he demonstrated on a public relations trip to Nepal in March 2016. The prince was there on a mission to tour U.K relief efforts in the earthquake-ravaged South Asian nation and to drum up international support for those affected by the 2015 earthquake, many of whom still reside in tent cities and refugee camps. Nepal was hit by two large earthquakes in April and May of 2015, measuring 7.8 and 7.3 magnitudes, respectively. Nearly 9,000 people were killed and tens of thousands were left homeless and at the mercy of government and humanitarian relief aid. Nearly a year out from the disaster, many of those affected are still struggling, and villages across the country are still strewn with rubble. Although more than $4.1 billion have been pledged to help Nepal earthquake victims, political problems within its borders has made aid delivery problematic. Prince Harry extended his Nepal visit for an additional week, deciding to stay to help with the rebuilding of an earthquake-damaged school and camping with other volunteers in a remote village while the work is ongoing. Prince Harry’s humanitarian tour of Nepal brought back memories of when his late mother, Princess Diana, journeyed there in 1993. While there, his mother visited with Nepalese leprosy sufferers. Visits like this one by Prince Harry draw international recognition for the devastation that remains in Nepal, which will require much more aid from the worldwide community to overcome. 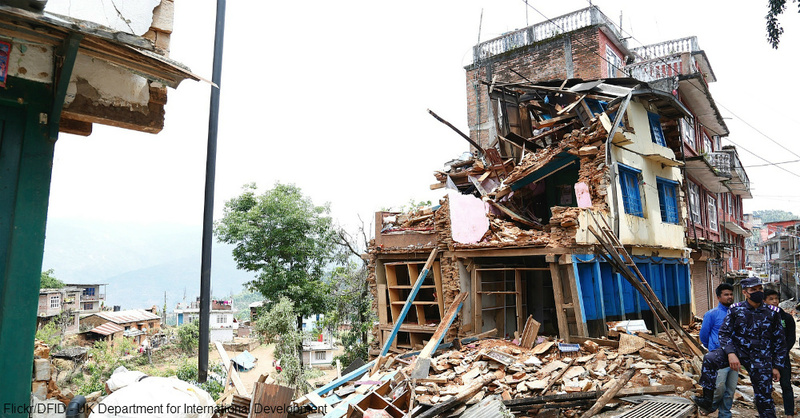 Find out what you can do to support earthquake relief efforts in Nepal now.